An interview with Tom Dickson, one of the world’s top figure skating choreographers. Students include Lu Chen, Ryan Jahnke, Matt Savoie, and YuNa Kim. 44 minutes, 20 seconds. On his most embarrassing skating moment: It would have to have been a performance in Ice Capades. I was coming by the curtain, skating toward a double axel or something. And there’s a wire along the bottom of the curtain that keeps it together when they want to open or close it. And I skated over it in such a way that my heel got caught in the wire. And I kept gliding backwards as my leg that was stuck in the curtain kept lifting higher [laughs] I was almost doing the splits. And then it let go and I dropped and fell in a heap right by the curtain, and had to pick myself up and keep going [laughs]. On starting in skating: My parents liked to go to Sun Valley in Idaho every summer. So I went there from when I was about four to about when I was twelve, and most of those years I never wanted to have anything to do with ice skating. And then one time out of the blue I did it, and I liked it, and I said, I want to do this. And we went home, to Newport Beach in southern California, and we looked for the nearest ice rink, which was Glacier Falls in Anaheim, near Disneyland, and that’s where I started. My first coach was Jim Short. I’m very much into skating lineage, and he came from a coach named Nancy Rush, who also coached Barbara Roles. 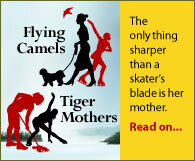 And interestingly, Nancy Rush was a ballet teacher, never skated in her life, and she just became determined to learn it, and learned it really well. 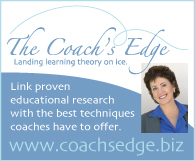 It’s surprising to learn how many great coaches weren’t skaters. Nancy Rush was the first person to utilize proper port de bras from ballet, especially for men, and she was considered a little radical at the time. My coach told me that from his first coach, his manner of learning his arms was to put him on a table, ‘cup your hands, and now lift them, and that’s how you’re going to use your arms’. And Nancy came along and said, no, there’s something called port de bras, you can move your arms across and to center and do all kinds of things [laughs]. On studying music and dance: I’ve played oboe since I was 10. I still play and my son plays it now, so I have to find time to be his oboe teacher. I was pretty advanced — by the time I was 12, I was actually playing in a college symphony. Once a week I had to practice with them from seven until 10 at night, and then get up and skate in the morning. It was a great experience, a great way to learn about music, to play with first-rate musicians. [The dance training] isn’t as formal as my music training, from the standpoint that I took dance classes. I never really met a teacher that made it click for me, the connection of dance to skating, until I met a teacher named Kathy Johnson about ten years ago. But I did take dance classes in my competitive training, and continued as a professional. On competing against Scott Hamilton, Paul Wylie, Brian Boitano, Mark Cockerill, and Christopher Bowman in 1984: I didn’t realize it at the time, but I look back and it’s like, I was fifth [in US senior men’s] against the Olympic champion, and then the Olympic silver medalist. So it was a great year. It was intimidating — I shouldn’t say that, I did find competition as a senior intimidating until that last year, and then I really found my mojo. I really didn’t love competing, but I loved the idea of performing and working choreographically on things from a technical standpoint. And I really was very lucky to have a collaboration with Sarah Kawahara my last few years as an amateur, so that’s what inspired me to turn pro and to do what I did. On being coached by Carlo Fassi: He was great at compulsory figures, but looking back he wasn’t the right person for me, from the freestyle standpoint. But I learned a lot from him, mostly how to hone my concentration and really focus in on what I needed to do. Working with him on figures, you felt — well, no one understands this any more, how nervous you got on figures in a competition, but every time you had a lesson with Carlo on figures you felt like that. He would stand closer and closer to you, and when you made the slightest bobble, he would go, [clicking noise with tongue] ‘a little sloppy, eh?’ And that’s basically how I learned to perfect them. I knew what to do technically, and he was the kind of coach where if he knew you were good at something, he knew how to perfect it. His gift was not teaching something that didn’t come naturally to you, and in the case of me, that was my triple jumps. My first lesson with him [laughs] I guess he didn’t realize how deep my rockers were, and he was following me and I whacked him in the nose. And he was like, oh! My nose! And I whacked him pretty hard [laughs]. On turning pro after the 1984 US Nationals: It’s funny, my coach was encouraging me to turn pro. I got off the ice, and he was like, do you want me to call Holiday on Ice [laughs]. And I’m like, hold on, I’m not quite ready, that’s a little quick. But we had already been talking to the producers of Ice Capades, because of Sarah’s involvement. But yeah, I wanted to go and do something else. I was not into the whole competitive scene. On the experience of being in Ice Capades: It was….bittersweet. I didn’t love the format, I didn’t love the audience, but I loved the opportunity to work choreographically with Sarah, and with my wife, Catarina Lindgren, although she wasn’t my wife at the time. She was Swedish champion from 1980 to 1984. Sarah met both of us from working with us as amateurs and really liked both of our skating, so we joined together. They kind of wanted us as a team although we didn’t skate as a team [laughs]. So it was a great collaboration with Catarina and Sarah, and that’s really what kept me going. If I didn’t have that I don’t think I would have stayed in Ice Capades for eight years. It just wasn’t an educated audience, there was a lot of compromise. You had to skate after the Smurfs or after a magic act. One year I had to skate after the magic act that had lions and tigers, and they left certain things on the ice [laughs]. But on the other hand, I got to skate with wonderful people like Richard Dwyer who is a history book in himself. Torvill and Dean toured with us, and it was from that relationship that we later on toured with them. But nothing can take the place of performing every night, and that almost doesn’t exist any more, the caliber of performing that we were doing on a daily basis, and there’s no better way to hone your craft of performing than doing that. So even though I didn’t like some things about it, I’m extremely grateful to have had that opportunity that doesn’t exist any more. On touring with Torvill and Dean’s tour: That was great. Getting to know them, getting to know how Chris and Jayne worked, they’re incredible perfectionists. They didn’t know how to mark through anything or do anything halfway, ever, so that rubbed off on the whole cast [laughs]. It was a great show. We toured all over the UK, we came [to the US] for about eight weeks, all over Australia — it lasted about two years with a couple of breaks. You can’t have anything but respect for how hard they work. I think Chris counted the number of lifts he did in one show and it was 117. On starting his choreography career with Lu Chen in 1991: My wife and I were at our cottage in Sweden, and he called one morning: [in Italian accent] ‘Hello. This is Carlo Fassi. Can you come to Italy. To work with Chinese skaters’. And I was like, woah [laughs]. This was at the time when he had moved from the Broadmoor arena to Italy, and had gotten Lu Chen and one other girl to train with him in Milan for several months. So I went there, I didn’t know her at all, and I had no idea what music to bring, I brought some that I thought might work, but then as soon as I saw her I knew she was going to be world champion. And that year that I worked with her she was third in the world. So I did pretty well on the intuition [laughs]. On choosing music for skaters: I let them have influence [on the choice of music] but I have to say that the programs I’ve had the most success with came from my vision for them. And it’s not that we had any arguments about what they would skate to, but it’s just that in those instances they felt they would leave it up to me. And it was a relatively easy process of picking what I felt would work for them. Ryan Jahnke was one of the easiest. I’d bring something in, and he’d be like, yeah, that works. Yukina Ota’s coach would sometimes have something to say, and luckily [the coach] spoke very good English. But in the long run, if I came to them and felt really strongly that this was something they should do, they believed in that, and that was great. I’ve had some good luck in having collaborations with skater and coach, which I think is really important. And when that collaboration has been the greatest, that’s when the success has been the greatest as well. On whether he has to know a skater well to choreograph for them: No. Lu Chen was one of those people, the minute I saw her I knew exactly what to do. It was very clear. Matt Savoie was a little different case because he wasn’t fully developed artistically, and we had to work a lot on the technical aspects of how to move artistically. He had a great body, he just hadn’t learned how to use it. Someone like Yukina, she was beautiful, you just had to mold her, and the same with Lu Chen. Sometimes I find it more interesting not to know what I’m getting into. With Lu Chen I hadn’t seen her body, I didn’t know who her coach was, I didn’t even know how tall she was [laughs]. And sometimes that’s fun. It makes you go off intuition, which I like to do. Sometimes if you know someone you overplan and overthink, it’s not as spontaneous. On getting a skater to express themselves through his choreography: I find as a skater learns freedom in their movement, getting the technique of their skating to such a high degree that it produces freedom, then they become freer to do things. And they have to be free as people. If there’s something holding them back in their personal life, or the way they’re coached, that can get in the way, but I find the best way to do that is not force it. Then it just comes. And I think it comes in proportion to how you learn to create your choreography out of technique. I never try to force the idea of the expression, because then it looks forced. On his input for costumes: That works because I can’t draw to save my life, but my wife is excellent at it [laughs]. So she handles that part, both for my clients and her own. Sometimes the costumes are built locally, sometimes we’ll send our ideas and our drawings out to someone else. You just work with whatever you have in front of you. But I definitely like to have some artistic say in the costume, instead of waiting to see what they come up with, which sometimes can be…surprising [laughs]. On working with the new judging system requirements: I don’t like to be overly worried about the requirements. I believe that if a skater is really great, they make it fit. Like Janet Lynn, she had no requirements whatsoever, but she fit what they’re asking for now, and she was 30 years or more [ago]. I don’t believe in holding myself hostage to them, and I think that things work out eventually if you’re a good skater with good technique. It will happen. I mean, with Matt Savoie we didn’t even talk about the word “transition”. The reason we did his transitions was because he loved to do them and got better at them. And then ironically half-way through his career the term “transitions” popped up. But by that time he was an expert in transitions because that’s the way he liked to do them. If you’re creative and you’ve got skill, eventually you start to want to do things in a different way. It should be a natural artistic progression. And that’s how I like to work. I find a lot of the rules in this new system really confining, even if the end result can produce more creativity and freedom. On whether newer choreographers don’t appreciate classical music: It’s hard for me to understand because I grew up with classical music, being classically trained, and my own children are learning music. And when you learn an instrument such as flute or oboe, you learn classical music. But if you have people who haven’t studied music and they are choreographers, that very well could be true. Unfortunately. On overused classical music like Carmen and Malaguena: I think the reason why they’re overused is that it’s a concept and a vision that’s already grasped, there’s nothing avant-garde about it. And people want a quick fix, something they can latch onto and they think the audience is going to get it. But when you’re the sixth, seventh, eighth person to do Carmen, to me that’s a choreographic challenge. You’ve got to do it in a new way, but usually that isn’t what happens. Usually the Carmens that were done 15 years ago are better [laughs]. But the term “classical music” is very broad. There’s music played by classical musicians and symphony orchestras that’s very progressive, like John Cage and Philip Glass. There’s composers right now that people have never heard of that will be famous 20 years from now. So I look at the term “classical music” much different — I don’t just look at it as symphonies by Beethoven or Carmen by Bizet. And people who may not have studied music might not know that differentiation. On the difference between intricate choreography and complicated choreography: ‘Complicated’ to me indicates there’s a problem [laughs], as in something someone can’t handle. Intricate is something a virtuoso can handle. The complication is, I guess, if you’re not a virtuoso enough to handle the intricate choreography. It’s just a way of defining — whatever you do, it has to be done well. And complicated is also a problem to the onlooker. If you’re looking at something and feeling complications from it, that’s a struggle. Unless the choreographer wants you to feel that way [laughs]. On whether skaters’ skills have changed after the end of compulsory figures: I’ve worked with both [skaters with and without figures experience]. People like Matt Savoie and Ryan Jahnke did figures all the way up to about novice, and there is a difference. If you’ve learned [figures] loops you know how to pull a tight edge, whereas now, I train people daily who need to know how to do that. I make them do paragraph loop pulls, back change loop pulls, because those are skills [these people] haven’t learned, and it’s incredibly useful as a movement tool to be able to do tight lobes. Jeremy Abbott, my first lesson with him was an outside eight. He’s done some figures, I think he passed his second test, but he didn’t remember how difficult an outside eight was [laughs]. He had a great run of his blade, but he had some issues like — I call it balancing your head on your spine, and we went back to the outside eight as a way of learning that. And he was like, wow, I didn’t realize how difficult this is. And he still does stuff like that. In the past I’d given him some very simple exercises to do very slowly, like doing a forward inside choctaw to a back outside counter, and he still does those. Often he’ll pick one and do it before they call his name to go out and skate. He likes the calming balancing influence on his skating. And I think that’s an element that skaters don’t have in their repertoire these days, is that calming sort of concentrated feeling that figures give you. I call it yoga on ice, it’s how to get into difficult positions and relax and sustain it, which is what you do in yoga [laughs]. We have a figures session at our rink once a week. And people like Ryan Bradley, I’ve made them do it [laughs]. He also passed his third test, but it’s been years since he did figures. But he says when he gets on the ice after doing figures, he actually jumps better. And I’m like, that’s because everything you’re doing in a jump is based on compulsory figures. Every position you take, the way you rotate with a curve or against a curve, all those are the foundation for shifting your weight off the ice and jumping. And that part’s been forgotten. But it would be really interesting now, because in the past, we had all these [figures] skills that we didn’t use [in freeskating]. No one would dream of doing loops or rockers in a footwork sequence, so we had all these skills that were left on the compulsory figures side. And we never understood how integral they were to everything. But we look back now and we’re like, wow, we could use them now for what we’re required to do. On choreographing for different personality types: I seem to gravitate toward introverted skaters, because I find them more fascinating. Someone like Matt Savoie, although that was a struggle throughout his entire career, to bring out his true nature, which is highly intellectual. And he had a fear of making his personal life public, and it wasn’t until his last year that he understood that no matter how much of yourself you give in a performance, it doesn’t intrinsically mean that everyone knows every little thing about your life [laughs]. And when he got over that, it was the reason he succeeded so big in his last year. But I like working with intelligent, intellectual people. Maybe it’s a stereotype, but I feel they’re a little more inward. Not to say that they have to be introverted, but I find that challenge kind of interesting, the challenge of bringing something out of them. Because that’s how I am as a person, I’m more reserved off the ice. But I find those people can have a really interesting alter ego on the ice, whereas conversely there’s people who are, what you see is what you get, and then they close up on the ice. [At 2006 US nationals] I told Matt, I want you to go out there and not be you. The you that they want to see is someone completely different. The you that you need to be is the someone you’ve always wanted to be. I was using that as a way to get him to realize that opening himself up didn’t mean he was opening his whole life to people, so I thought I’d try, don’t be Matt Savoie, go out to be someone else you’re going to reveal. And it worked. On how choreography has changed from decade to decade: When I look back at skating in the 80s, apparently we all had a love affair with crossovers. You would see people circle the whole rink before they got to the triple axel or whatever their jump was. And six years prior, or even ten, there would be people like Janet Lynn doing completely different styles. When you look back you see trends happening that you didn’t know were happening. But the 80s were just really about big open skating. If someone had told us back then to do the intricate stuff we do now, we would have thought they were nuts. The footwork sequences take three times as long now as they do when we were competing. Styles change and tastes change, and with this new system you can’t help but be affected by the demands it puts on you. Back when I competed it was a cardinal sin to spin on a forward inside edge on a sit spin. Now it’s a requirement if you want a certain level on a spin. But that could change too, and things can change rapidly. Back then it was a natural progression, the rules were more open, so you could get someone like Peggy Fleming coming in and doing something completely different than someone before her. But now, there’s such demands from the rules and requirements that I think it’s harder to see that personal expression come through. Now you see all the same things. And now of course with the halfway mark you see more jumps at the end, except for Plushenko [laughs]. But he was actually an interesting experiment, because he came back at least partially trying to defy the new system. It didn’t work for him, but he did look different. I think there were parts of his [2010 Olympic] program that he was making up as he went along, but you have to hand it to him, he didn’t look like a lot of other people. On his favorite piece of skating choreography of all time: It would have to be one of Janet Lynn’s. I love watching John Curry, but there was something about Janet Lynn’s Impressionistic phase, when she was doing Afternoon of a Faun and all those things, those are probably my favorite. Of my own work, probably Ryan Jahnke’s Brazilian program, just because the combination of music we put together could have so not worked [laughs]. It was a risk, and I like it when I take a risk and it ends up working. Ryan’s Brazilian and Matt’s ‘The Mission’, probably those two. And that’s why it’s so important to have that relationship of trust. Diana Ronanye, Ryan’s coach, she thought [the Brazilian program] would work, and she went along with it. I don’t think at any point did she ever say, I’m not sure about this. On whether he has music waiting to be used: I have a couple. Stravinsky’s Rite of Spring, I know John Curry used that and it was a disaster, and notorious to edit. But I’ve always been fascinated by that piece. There are others, but I’d have to think about it for a while [laughs].